One of our expertise is to help various corporations setting up offsite/cloud backup strategy, with version control, data encryption, bare-metal and single-file backup, etc. With such technology, our clients' data are stored in both their companies and our datacenter, and data can be recovered/retrieved through network anytime anywhere. In turns, businesses data are well protected from theft, human error, machine failure and natural disaster. With our storage space, your company keeps at least 30 days past versions of their data, namely, you can get whichever version from the past 30 days, whether it is a single file or the whole system image. This morning, the whole server crashed and all data-drivers are failed. Manager put up a spare server unit and restore the whole server back from the image backup in our datacenter, within 2 hours. With our cloud backup solution, you don't have to worry about data loss and business downtime anymore. Let's contact us today and find out more! Over 10 years’ experience of building, managing, and monitoring servers, with 99.99% dedicated powerline and world-class cooling facilities, we deliver one of the most stable datacenters in Asia. Across years, our clients are well satisfied with the stability of our facilities and flexibility of our services, probably that's why we have over 98% customer retention rate. Whether you are small business that requires only one server, or medium-sized business that requires a few racks, we have it all ready for you. We know the fact that most small datacenters, or tier-2/tier-3 competitors are using desktop-grade hardware as a server for cost concern. We never ever apply that tactics because we know and we always believe that stability is your main concern, nothing more and nothing less. 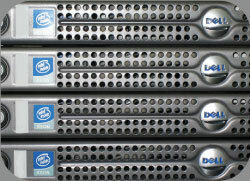 All our hardware equipment, from CPU to hard-drive, from rack cases to UPS systems, are from qualified suppliers like Intel, Dell and IBM. And each server is well tested for at least a month before putting it to operation. 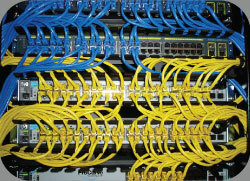 Powered by CISCO/AMP and certified network professionals; externally, our datacenter is directly connected with HKIX (main data hub in HK), and we have numbers of separate fiber optics line directly connected with hubs in US, Europe, Australia, Japan and Singapore; internally, all cables running in our datacenter are certified and audited by Fluke technology; that is how we deliver surpassing network speed, performance and reliability over most of our competitors in Asia. The only thing that threatens our network and to our clients are network attacks from the outside/inside. 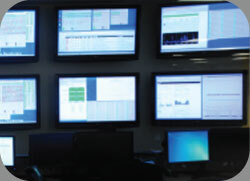 Though we have world-class UTM firewall in placed, preventing majority of network attacks such as brute force, bots scanning, spam & malware, and DDoS, we still have our network traffic monitored 24x7, so we have first hand information and instant alert for any abnormal activities, and shutdown, block, or eliminate threats from spreading or happening in the first place. With rising wages in almost every countries nowadays, the key to your business success is how to maximize employees efficiency and co-operation. But how can you do that? Let's face the fact that over 80% of employee activities are Outlook/Email software involved. Microsoft Exchange or VMware Zimbra enable employees sharing emails, contacts, address books, calendar, events and daily tasks under Microsoft outlook. This greatly avoid learning curve to your existing employee, extra software license cost, and any repulsion that may arise to your company. John wants to share one email folder about his new project in his sales department. Just by a simple right click, our systems will send an invitation automatically to all person involved. Mary sees the invitation email, by confirming it, the folder automatically appears under her inbox, so she can drop/edit email in the project. By this way, John manages to collaborate with all employees involved in this project, and he can also do it for contacts, calendar, events and task. With Microsoft Exchange or VMware Zimbra, he can effectively manages work tasks, such as communication, work deadline, meeting or milestones. While every mailboxes are actually stored in our server, you still have a daily backup for data protection purpose. In practice, we also supports online synchronization with any devices your employees may use today, such as laptop, IPhone and Android. Messages are being pushed to these mobile devices instantly. The whole programming industry is shifting to web and client/server applications, that requires fast and stable network speed, well running hardware and properly configured firewall security. We, Asia Data Management ©, always partner with software vendors and service providers to deliver various types of solution to customers. If you are selling a on-demand software service, like Salesforce.com or Quickbooks-Online with multiple clients share the same system and database instance, you will need a powerful server with robust network speed. We can provide both with flexibility, say, you can rent 3 servers this month and 2 in the next, no extra unreasonable charges. 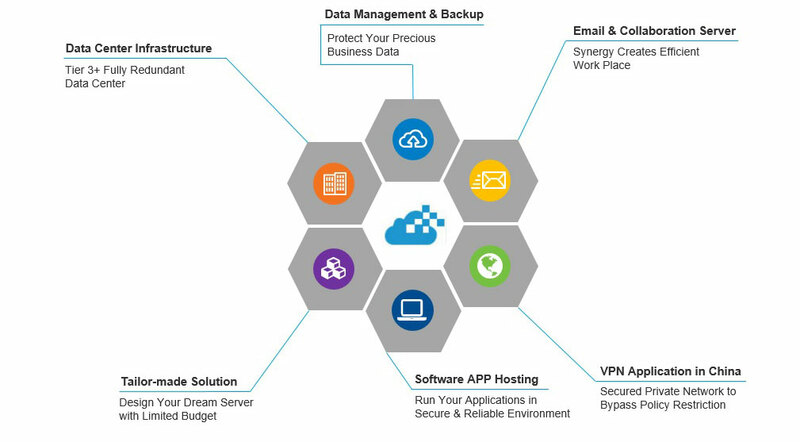 If you are selling a single software service, like common ERP systems, so that each client have to use their own system and database instance, we can provide pre-made one-click ready virtualized server (VPS) to each of your potential customers, with the same flexibility mentioned above. 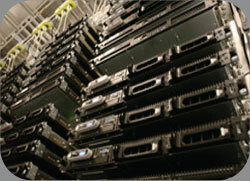 We also offer firewall setup service, fixed IP, and 24x7 monitoring for both solutions. If your client ends the subscription, we will destroy all data securely and completely by PING-stream method with multiple runs upon request, and make sure there is no data leakage possible. By co-operating with us, you can just focus on your business while we support you in the back. And payment can be made monthly or bi-monthly, after trial use of our service. Data transfer in some countries may be slow and with huge delay due to government policy, let alone the concern of data security like data screening from government. For those companies having business running in multiple countries that could be a huge problem to their daily operation. One of our solution to address such problem is that, we offer a private VPN connection server in those country you operate, while every endpoint, such as main office, branch office, mobile workers etc., connect to our servers and join the whole private VPN network; In turns, no matter where you are, you can always be part of your company network and access file-share, email servers, applications, database or even printers with just a simple click. Your company has branch offices in China, US and Europe. We setup VPN servers for your company in all 3 countries. Connection from china office first goes to the VPN server in China, and then directly goes to the US VPN server by encrypted VPN private tunnel, bypassing all censorship and monitoring. The US VPN server routes the traffic to US main office or Europe branch office with robust network speed, compared to original multi-point connection offered by Internet Service Provider (ISP). For mobile laptops/devices, a built-in VPN connection module is more than enough, while for branch office with multiple computers and a private network, a properly configured VPN firewall, is all you need. Don’t have one yet? Don’t worry, we can have it set up and ship to you with just a few days! No matter how well your business is, without a stable platform to run, without a constant backup routine, and without a robust network speed, it causes trouble. That’s why we have arrays of servers that can be customized to meet your requirement, no matter how much your budget is. If your program requires powerful processing power and RAM usage, you can rent our dedicated server, no matter a single or dual CPU, 8GB to 192GB RAM, 1 to 4 NIC, RAID-1 to RAID-10, we can customize it for you. You can either use all the resources to run a single operating system or to share it by virtualization technology such as ESXi, Hyper-V or Xen, so you can have multiple operating systems running under the same dedicated server. Running out of budget? You can rent our virtual private server (VPS), that is a technology powered by VMware, to allocate adequate hardware resources to you in our cloud environment; so you can have a VPS under $100 USD, whiling enjoying powerful processing power and RAID-10 data redundancy. In terms of software, Microsoft 2003, 2008 or 2012, or Linux, CentOS, Ubuntu, Debian, SUSE or Redhat, no matter what versions you want, we have it ready. How about software license? Good question, we are Microsoft strategic partner so we can actually rent Microsoft license out to you. No matter what you need, we have it available.